Claire Crowther lives in Somerset and has worked as a consumer journalist, editor, and communications director for many years. As an undergraduate at Manchester University, she won the Shakespeare Scholarship and the George Gissing Memorial Prize in English Literature. Her first pamphlet, Glass Harmonica, appeared from Flarestack in 2003, and her full collection, Stretch of Closures, was published by Shearsman in 2007, and was shortlisted for the Aldeburgh Best First Collection prize. 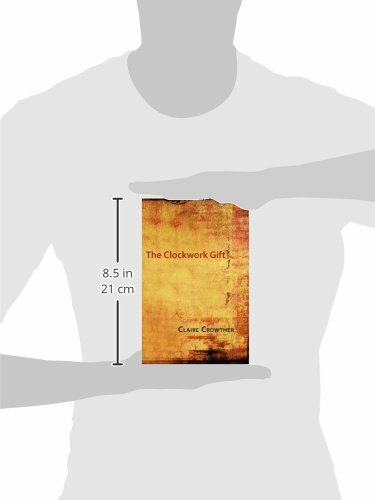 She was awarded a bursary by Kingston University to complete her second book, a long poem project exploring the conflicts between the cultural expectations and real lives of twentieth-century grandmothers; the work was published by Shearsman in 2009 as The Clockwork Gift. 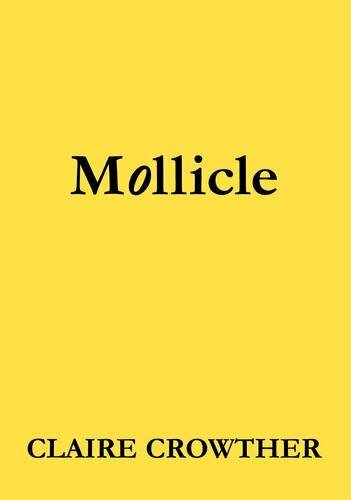 A pamphlet, Mollicle, appeared from Nine Arches in October 2010, and another, Incense, was published soon after by Flarestack Poets. She was poet in residence during 2008 at Dorich House, Kingston on Thames, a museum dedicated to the life and work of sculptor Dora Gordine. She gave a reading and ran two workshops at the major retrospective of Dora Gordine’s work held at Dorich House in March 2009. Crowther has an MPhil from the University of Glamorgan, and a PhD from Kingston University, both in Creative Writing. Her poetry and reviews have appeared in a wide variety of journals including Ambit, London Review of Books, New Welsh Review, PN Review, Poetry Review, Poetry Salzburg Review, Poetry Wales, and The Times Literary Supplement. She has also presented and published papers on contemporary British poetry at various conferences, and lectures on syllabics from time to time. She lives in the West Country with her partner, a solar cell physicist. She is poet in residence at the Royal Mint during 2014. 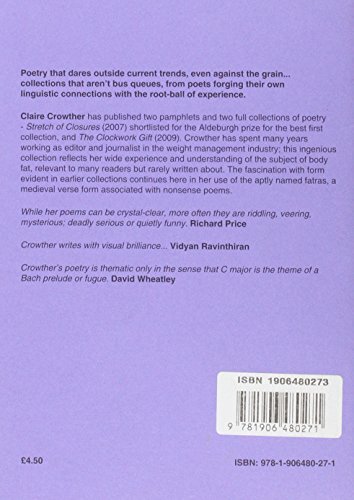 Throughout this selection of recent work available to hear through the Poetry Archive, Crowther’s distinctive poems are notable for their unaffected, almost distant tone: a strange yet effective vehicle for her subject matter, which tends to be related to the more visceral and violent sides of interaction and self-examination. 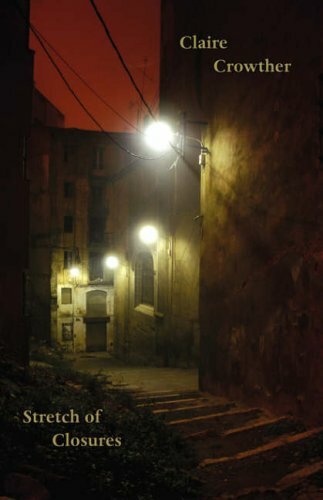 This cold eye becomes a mode of almost scientific scrutiny: the narrators of these poems are meticulous, observant, haunting in their detachment; the poems gather power as if accumulating evidence, bringing stricken and emotionally resonant images before the reader: “The pencil asked what hair weighs | And drew it to cover the tucked-away | Technology of ear.” (‘Captured Women’); “My striped dress hung | along my body… a balloon | sinking back down | its own string” (Once Troublesome). Even the short lyric ‘Snail’, with its unassuming subject, becomes a voice in which the desperation hidden in human affection becomes apparent, and across the work we hear the probing and painful questions which desire asks the body. 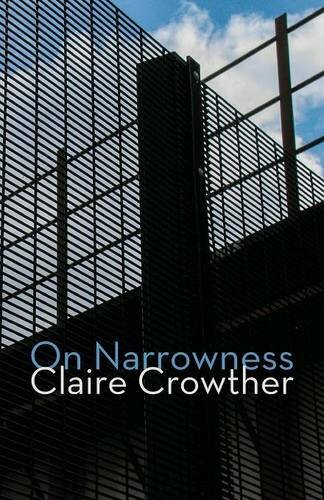 Crowther’s delivery is assured and unsentimental, a perfectly judged performance to carry the sometimes troubling and always striking themes of her poems. This recording was made for The Poetry Archive on 20 August 2013 at Attic Attack and was produced by Richard Carrington.